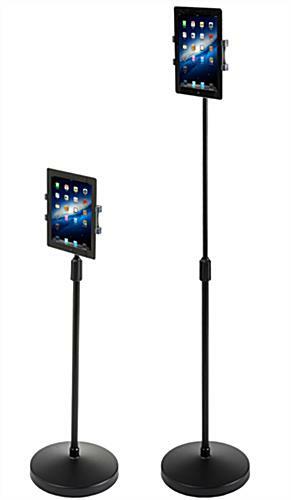 This hands-free tablet holder is the perfect accessory for residential or business use. 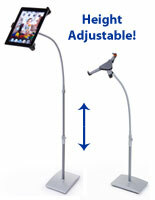 The height adjustable stand raises and lowers to accommodate use while sitting or standing. Each weight tablet holder can stand on it's own without tipping or falling over. 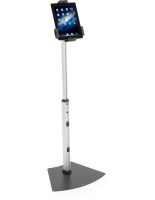 The device mount is made for iPads or tablets. 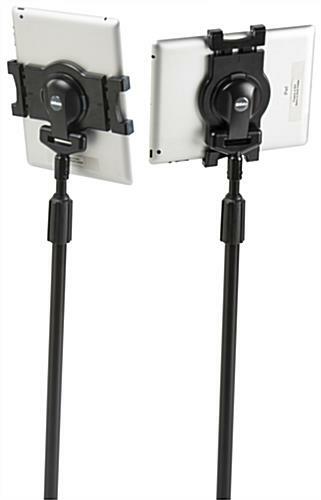 The tablet holder is perfect for watching movies or TV shows on your device without having to hold it in your hands! 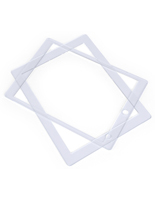 Use each unit in landscape or portait orientation based on your viewing preferences.